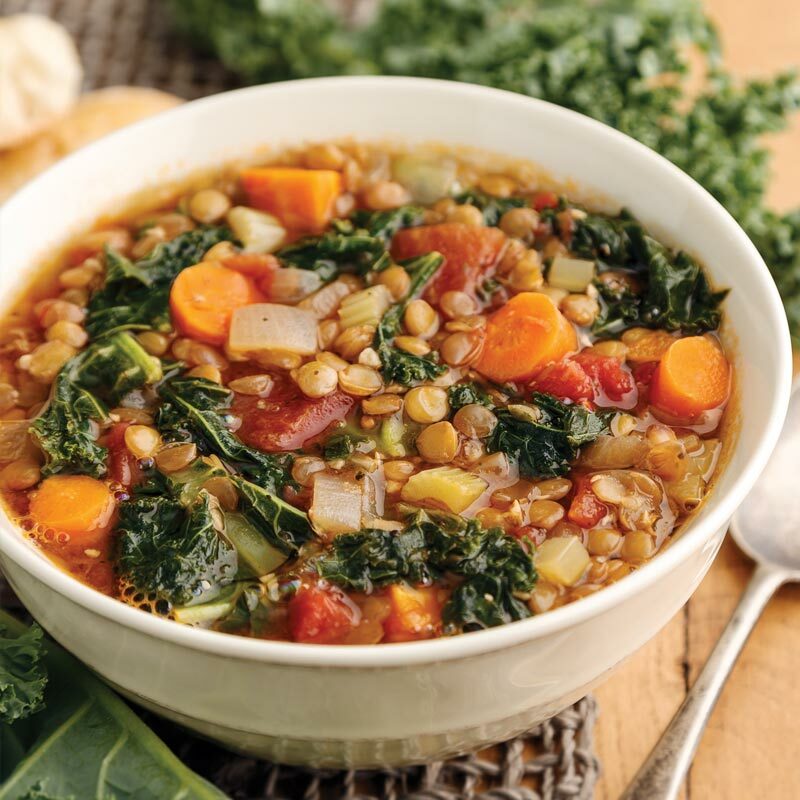 Bob’s Farm to Table: Lentils are a fantastic source of fiber and protein that literally soak up the flavors in this hearty vegetarian soup. This is the perfect meal to warm up with on a cold winter day, but it’s so nutritious and delicious that we’re sure it’ll become a year-round favorite. I make this soup every week and keep it on hand for a filling 100 calorie pick-me-up any time of day. Add the onion, carrots, celery, and garlic to the pot, and sauté for 5 minutes. Raise the heat to high, and add the vegetable broth, lentils, diced tomatoes, bay leaves, thyme, pepper, and cumin. Bring the soup to a boil. 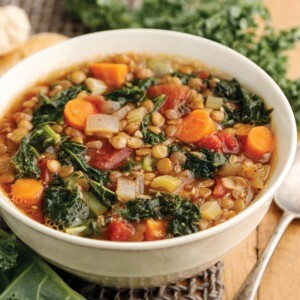 Reduce heat to low, cover, and cook for 20 minutes, or until lentils are tender. 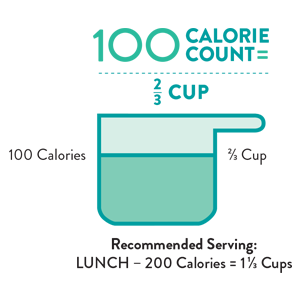 If soup is too thick, add water, ¼ cup at a time, until your desired consistency is reached. Add the kale, lemon juice, and salt to the pot, cover, and let simmer for an additional 10 minutes before serving. HELPFUL TIP: When cooking with lentils, it is recommended that you first sift through them to discard any irregular looking lentils, as they may actually be a small stone.